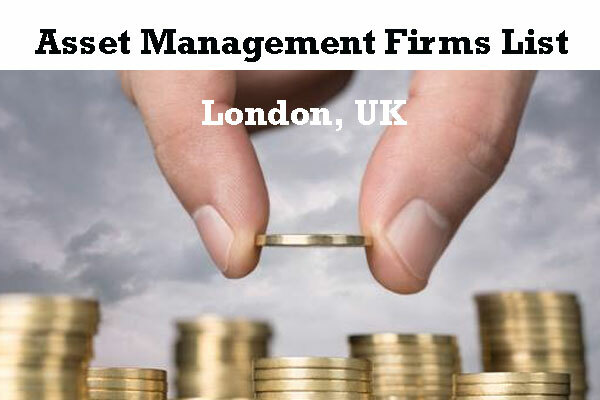 London Asset Management Companies List – Find List of Top Asset Management Firms in London. List of wealth management companies in London UK. Investment management firms in London. BlackRock Investment Management (UK) Limited. 77 Gracechurch St, London EC3V 0AS, UK. Castlerock Wealth Management is a wealth management company offices in London, Rochester and Deal. Offers wealth management advice to individuals, trustees and businesses. Read More. London WC2B 6UJ, United Kingdom. Previously known as – Berry Asset Management Plc. Berry Asset Management PLC is now Bordier & Cie (UK) PLC. [Investment Management company – Offices in New York and London. London EC2V 5DE, United Kingdom. Page updated : 24th June, 2018.